CBK Media Management is pleased to welcome new client Elizabeth Pace. Elizabeth is the Weekend Evening News Anchor/Reporter at KLBK (CBS) in Lubbock, TX. Before she was promoted to Weekend Anchor in March 2017, Elizabeth was hired as a Multimedia Journalist. 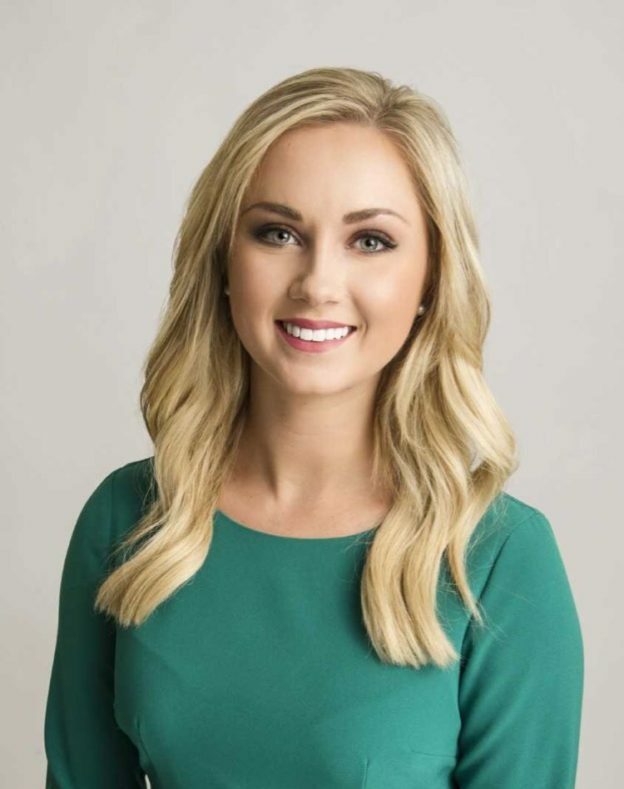 A Southern Indiana native Elizabeth graduated from Indiana University with a Bachelor of Science degree in the Media School with a concentration in Broadcast Journalism. At Indiana, Elizabeth was very active with IU Student Television (IUSTV). Over the course of four years, Elizabeth was a producer, reporter and anchor before becoming News Director her senior year. While working at IUSTV, she also interned in the Creatives Services and News Departments at WHAS (ABC) in Louisville, KY.